The Trek Domane 4.3 Disc uses hybrid hydraulic disc brakes and costs $2,730. The performance (and fun) disparity between an entry-level road bike and pro-level race bike is wide. But for cyclists looking to get the most bang for their buck, a sweet spot lies in the $2,500-$4,000 range where speed, technology, and value converge. “It’ll get you a hell of a bike,” says Royce Breckon, Trek Bicycle’s road brand manager. “And it’s a big upgrade from what you could have just five years ago. The carbon frames, drivetrains, and wheels have all trickled down from more expensive price points.” So while you may not be able to afford this summer’s Tour de France bike, your new bike — even if it’s not designed for racing — reaps the benefit of technology developed for last year’s race. 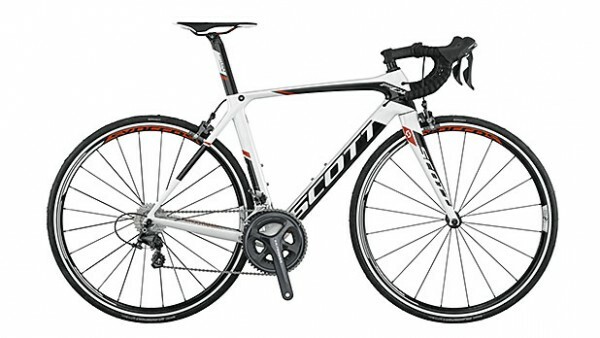 Before you start shopping, determine what kind of road bike you need. If you’re looking to go fast, whether it’s in a sanctioned race or just road-sign sprints with your pals, focus on race bikes with an aggressive geometry that will have you in a more aerodynamic and powerful position. If you enjoy century rides, look for a bike that has you sitting up more, easing pressure on your back and core. The emerging category of endurance road bikes is designed to perform similar to a race bike, but with greater comfort for the rider. When you’re plunking down more than two grand for a bike, most shop employees will direct you to carbon-fiber models, but check out aluminum options too. If you’re scheduling a full racing season, a high-end aluminum model, like the Cannondale CAAD10 or Specialized Allez, could be your best bet. New aluminum bikes have dropped the harsh ride characteristic the metal was known for 10 and 20 years ago. The frames are also typically more inexpensive than carbon, meaning you’ll get better components or save extra money to put toward race wheels. 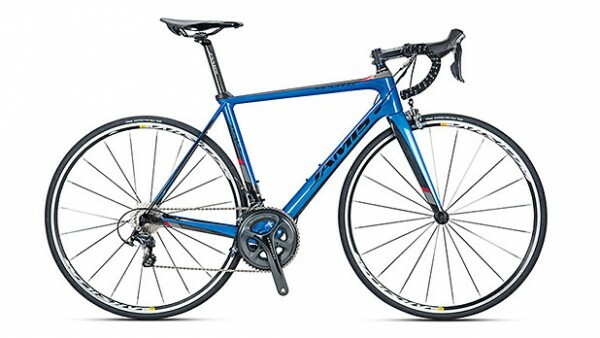 Bikes in the $2,500-$4,000 sweet spot will almost always come with a reliable, lightweight set of components, such as Shimano Ultegra or SRAM Force, but Shimano’s electronic-shifting Di2 components and hydraulic disc brakes have started trickling down into this price range. Because the Di2 shifts by electric signals, not tension, riders no longer have to maintain or replace shifter cables. The trade-off? Charging the system two or three times a season. Disc road bikes can also carry a weight penalty of up a pound, says Breckon, but the stopping power greatly exceeds traditional rim brakes, especially in wet conditions.